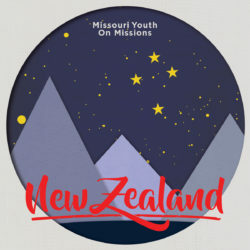 We have one day until we depart for New Zealand! Please keep all of us YOMers in your prayers. We really appreciate them! We have great expectations for this trip and cannot wait to see what God is going to do in this beautiful country! Keep an eye on the blog throughout the duration of the trip for updates & photos!